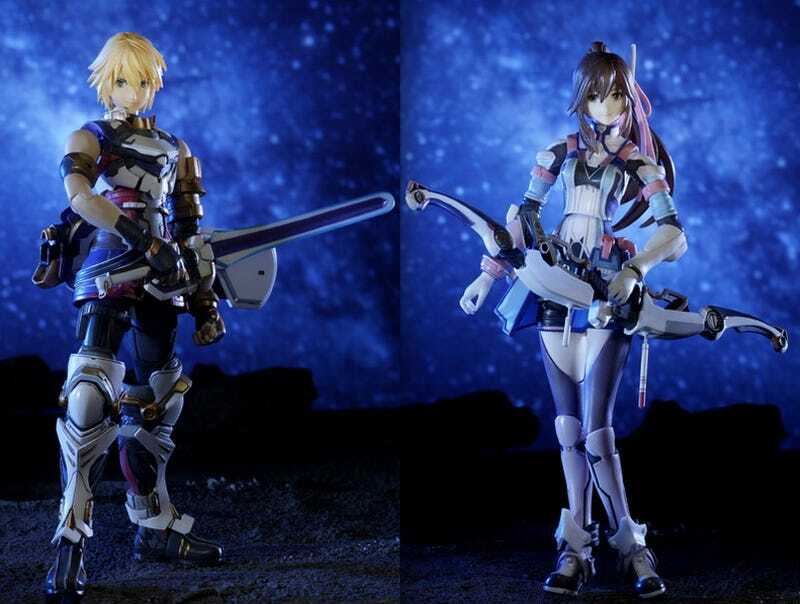 This month, Square Enix is releasing a pair of Star Ocean 4 posable toys from famed figure maker Kotobukiya. Check out hero Edge Maverick and heroine Reimi Saionji. The childhood friends are both around 8 inches tall and come in window box — each with their own weapons*. Those interested in picking them up can find them online or at your local Japanese figure shop or both.